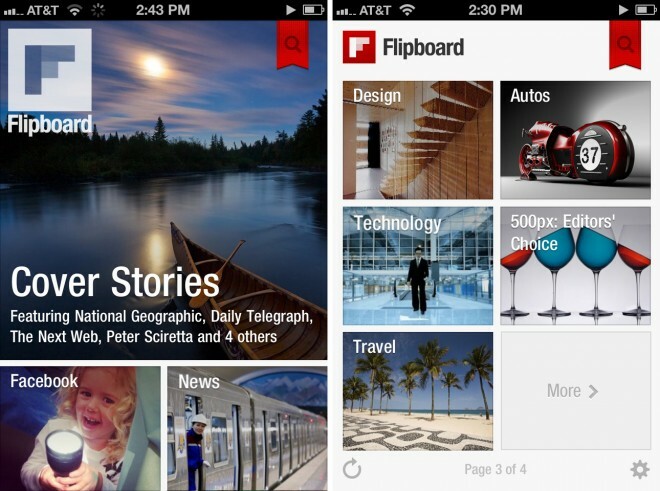 The original Flipboard app was designed specifically for the iPad and launched shortly after the first iPad was released in July of 2010. 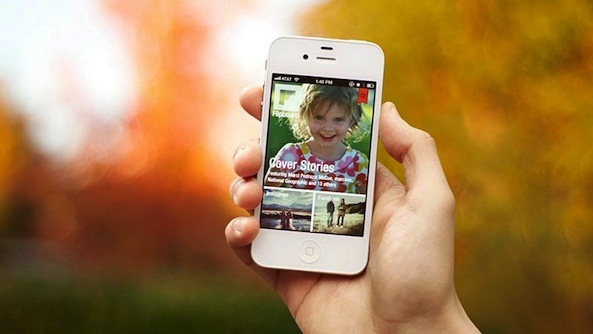 But Flipboard CEO Mike McCue said that moving the application onto the iPhone was his number one request from users. Well, now Flipboard has released its official application for the iPhone. If you don’t know what Flipboard is, it is basically an interactive magazine; it that turns your social-network posts, photos, and videos into a magazine-like visual experience. The iPhone version introduces a new feature named “Cover Stories,” which takes a selection of interesting articles and photos and displays them in a beautiful layout. This “Cover Stories” feature is iPhone-only for the time being, but it will be coming to the iPad in the next Flipboard update. ★ New iPhone edition puts the power of Flipboard in your pocket. ★ Speed. Flip through pages as you would through a printed magazine, all with the flick of a thumb. – Sign into your Flipboard from either iPhone or iPad and get instant access to all your favorite content. – Check out All Timelines. Flip through a single feed containing all articles and all photos being shared across all your social networks. If you already have a Flipboard account, you can sign into the iPhone app using your account and all of your saved preferences and saved social networks will immediately be available from the iPad version. Flipboard for iPhone is an amazing app and it is free in the App Store!